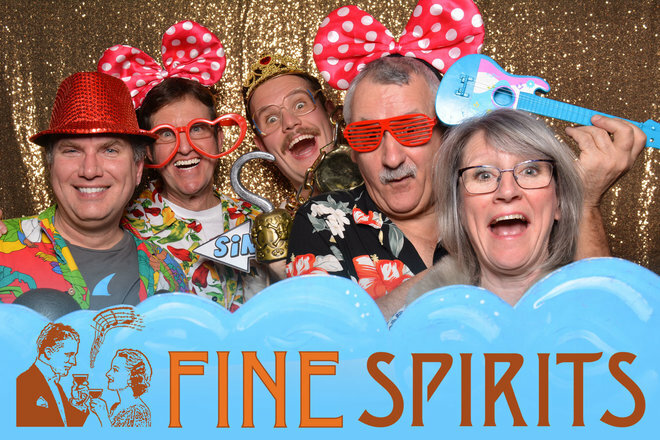 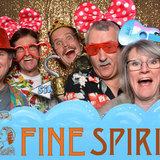 Fine Spirits band covers fun, lively, danceable music guaranteed to get you moving to current and classic hits in all styles, with always a few surprises thrown in. 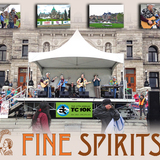 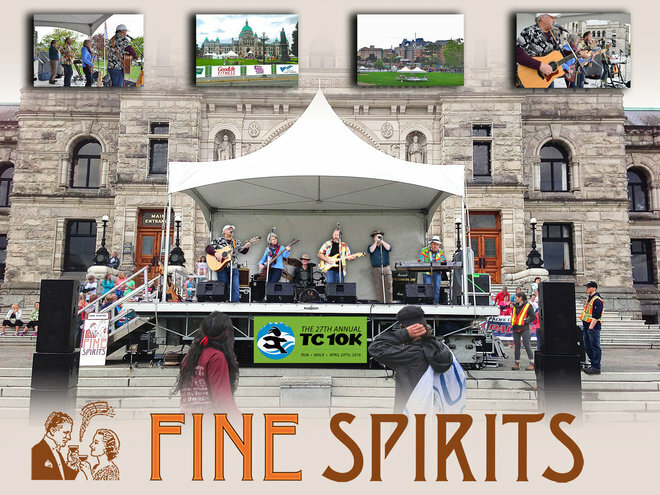 The Victoria, BC band performs regularly at community events, markets, dances and house parties, offering electric or acoustic format to suit any occasion. 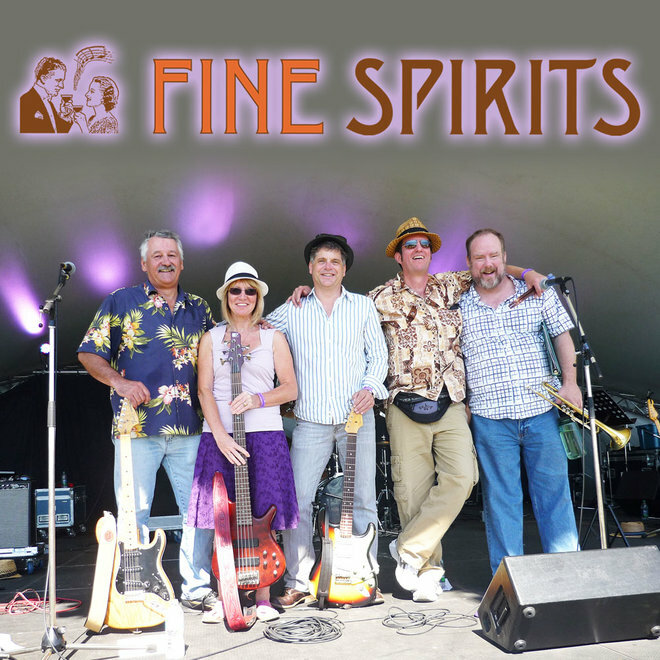 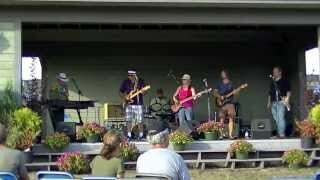 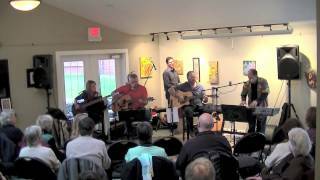 Lead singer and guitarist Dave Preston is accompanied by his wife Lesley on bass and vocals, Ken Champoux on guitar and vocals, Dan Galano on guitar and vocals, Kevin Kotorynski on keyboards, harmonica, and vocals, T. W. Tobin on drums, and Vince Pollitt on trumpet. Check us out on SoundCloud or YouTube.